Enter the test number into the box. It will display with the columns named. The slider will select the language: English, Español, Français, Deutsch. 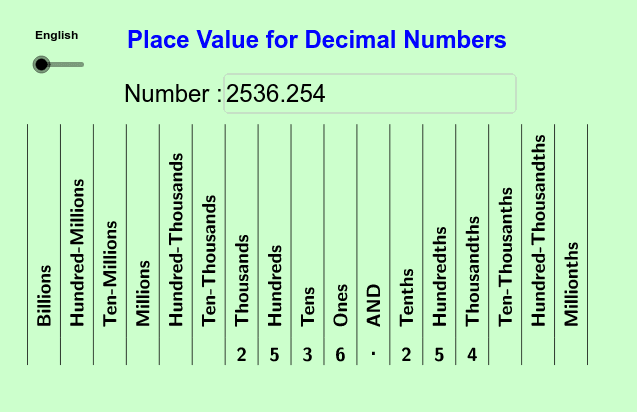 This lesson demonstrates decimal place value places. Thanks, rami (Raymond) for table code and Deutsch, Noel Lambert for Français, and mathmagic for Español. Great assistance from the GeoGebra Forum.